Last month, I attended a fundraising carshow at one of the colleges where I work. I was joined by a new member of the S12 community, Sanchez and my wife, sister and even mama Lifer. We all helped raise money for textbooks for our Veterans who attend MiraCosta Community College. Getting on line to drive to Oceanside. Never did I ever think I would participate in a carshow in the rain which scared off a lot of the regulars. 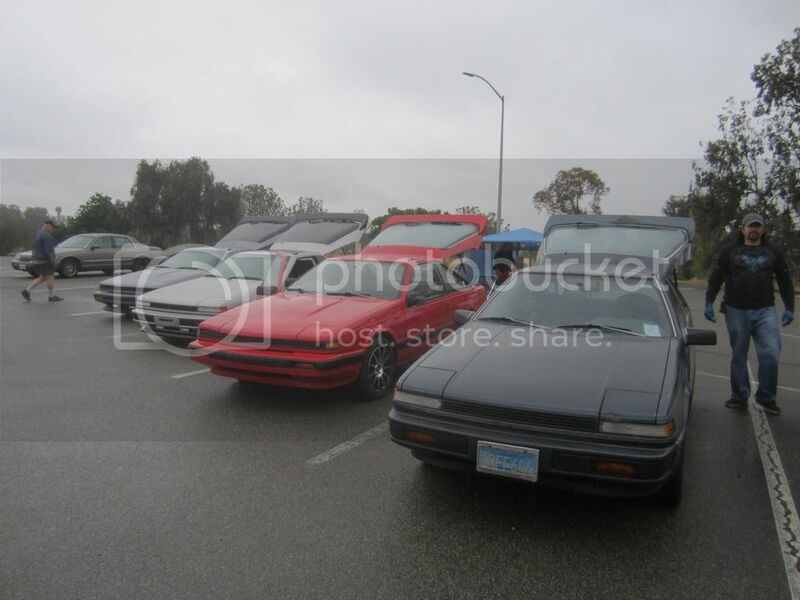 That's Sanchez on the right with his 1986 S12. Unloading the cars and listening to good music. We even had a half gallon of Mimosa! Must have been a good sign when the weather cleared. I took first place in the "Asian car" category. That's mama Lifer in the back enjoying her Mimosa. This plaque goes out to the entire S12 Community! Looks like fun. Maybe one of these days my car will be ready for a car show. Congrats on first place, car looks great. Off topic, what offset are you running on those rims? I want my car to have that same stance/look. I'd really like to get out there for the July event, but that 38 hour round trip! Had lots of fun at the show. First show to have attended since 2004. I was happy to have contributed in something to benefit the veterans. 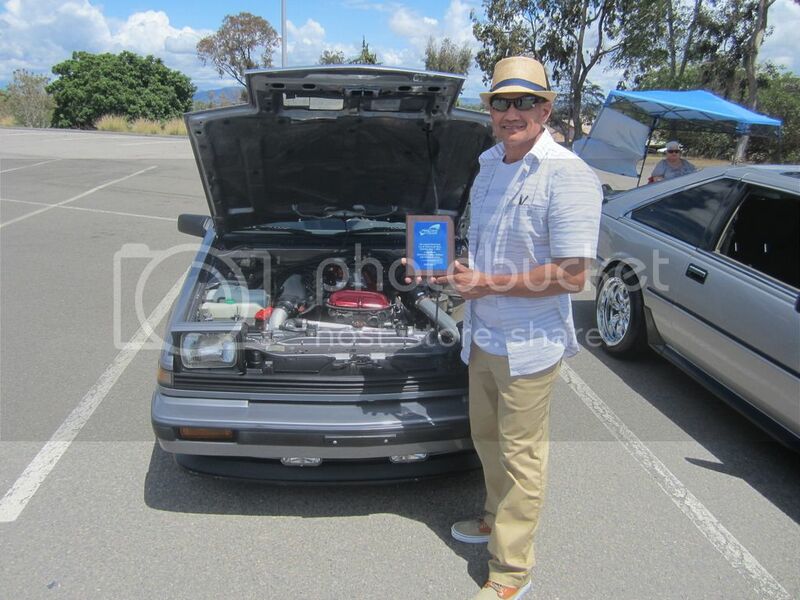 Congratulations to Jay for taking one for the team and for helping to keep S12's on the map at a local car show. Lets do it again next year. 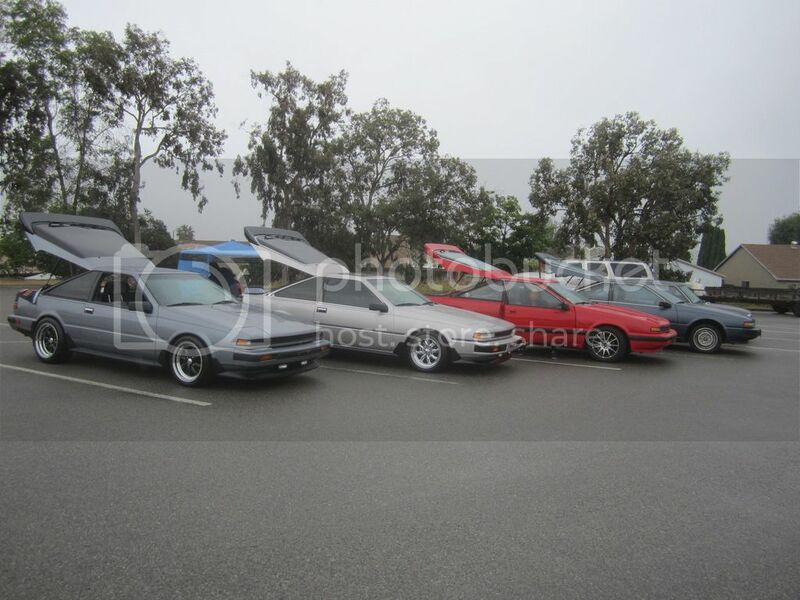 Best car club that I have ever been a part of. Deucekazoo, I went with the XXR 513 wheels, 16 X 8 for the rear with a zero offset and 16 X 7 for the front with a +15 offset. Weitrhino, have you considered taking a four day weekend to break up the 38 hour trip? We can even put your car on the lift if you need to do any major work from the long road trip. I'm hearing that this meet will be a larger turn out from previous meets. You should try to make it. Sanchez, muchas gracias! 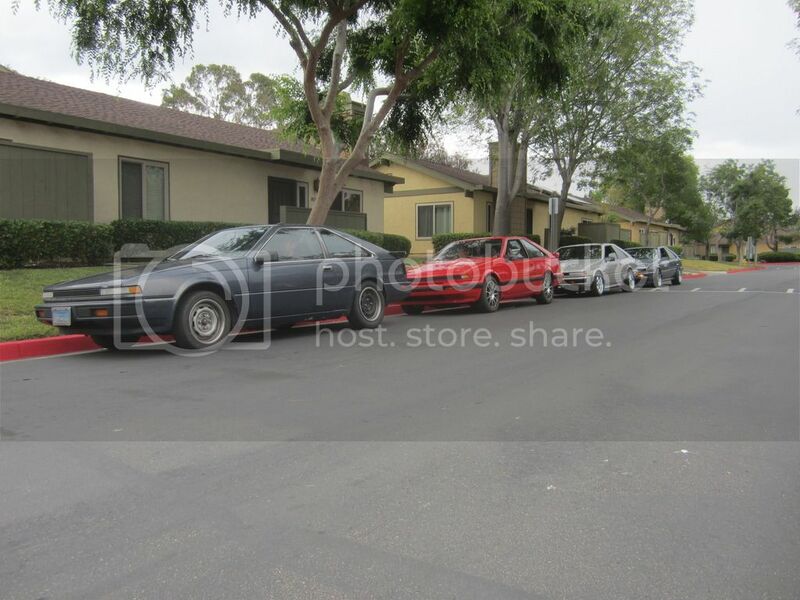 Continue to make improvements on your S12 so we can continue to roll together for JCCS, Nissan Jam and many others. It's just not in the cards. I will be in LA in January although it's a fly-out trip with very little downtime.